Makerspaces have been around for a few years. For much of that time, the public libraries had them and few early-adopter school librarians started them in their libraries. 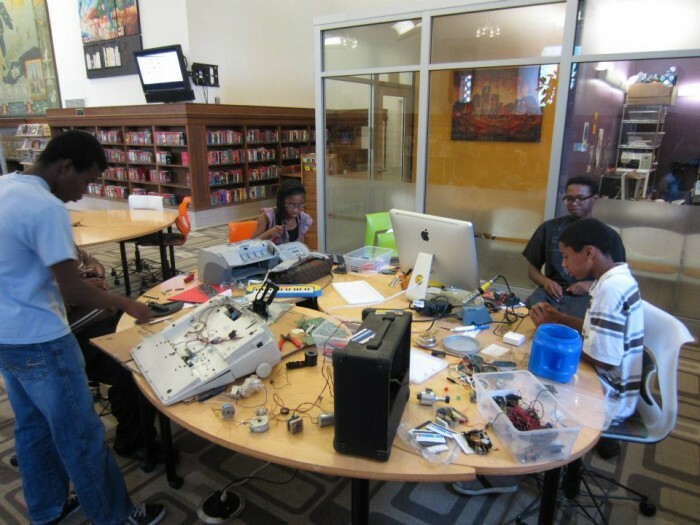 Their existence continues to grow, but many librarians are hesitant to start one, but the importance they play (and play is the operative word) in the growth of student learning strongly suggests it’s time Makerspaces or Maker Clubs are available in all libraries. You don’t need a 3-D printer. They are great, but the odds are most of you don’t have the budget—although you could write a grant with your local education foundation. You don’t need a table saw. (Which would probably be a scary proposition with young elementary kids). 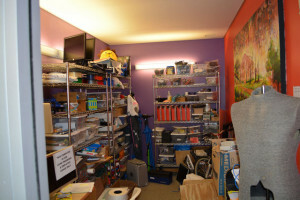 What you do need is a bunch of supplies: scissors, Legos, fabric, yarn, duct tape, origami paper, popsicle sticks, perhaps Arduino, LittleBits, and Minecraft—and whatever else you have on hand or get people to contribute. You also need bins to store everything when not in use. From a presentation at NYLA, one of many I have seen recently on Makerspaces, given by Rebecca Buerkett, Ana Canino-Fluit, and Gail Brisson, I discovered you can start your program on a shoestring. One had a grant, the others funded the project from their own pockets and the aforesaid donations. To be specific, they have Maker Clubs rather than Makerspaces. Kids get to make stuff only at set times rather than having continuous access. What you need most is a bit of daring, and a willingness to learn as you go. Kids who have a level of expertise in one area will teach others and you. Why should you commit time and effort to a Maker Club or Makerspace? Unlike a craft activity, kids aren’t following a specific set of directions to create a set product. They are experimenting, imagining, making mistakes and adjustments to plans, and discovering where their imagination can take them. They develop resiliency, do out-of the-box thinking, engage in authentic learning, do problem solving, work in collaboration, exhibit leadership, and in the process become lifelong learners. These are goals for you library program. They are what Common Core is seeking to achieve. Makerspaces are a natural connection to STEM programs and help produce innovators, and producers of new knowledge. And all the while the kids are having fun. You do need to publicize your Maker club and which activity is scheduled for an upcoming meeting. Look for teacher volunteers or older students to help out. You want at least one other person with you if possible. Set up rules and guidelines, but have the kids come up with them. How will they deal with conflict? Most likely you will need to show them how to be economical in the use of supplies (don’t cut a square from the middle of a piece of fabric), and to recognize the leftover from their project can be recycled into someone else’s work. Among the Maker activities to consider are: Garage Band, Robolox, photography, robotics, origami, Minecraft, knitting and/or sewing, and whatever else the kids are interested in. Ask them for suggestions, and then plunge in. Have fun. Click the image to the left to find out more about how the Detroit Public Library created their Makerspace. Do you have a Makerspace or Maker Club in your library? Let us know know what you have learned and what you do.